Over 20 years of experience in the San Diego residential market. My passion is helping homeowners create the 'perfect feel' to their home through creative lighting and electrical solutions. I work closely with homeowners to find out their particular 'style' as well as budget, and then bring my considerable expertise to finding the best value-conscious solutions. I am an expert in trouble-shooting electrical issues, and will give you an accurate estimate of expected costs before beginning work. I have experience in all phases of electrical work including ground-up whole house, remodel, kitchens and baths, electrical panel trouble-shooting and replacement; as well as energy-efficient lighting and "smart home" solutions; and also commercial repairs. 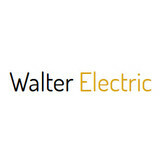 I look forward to helping you with your electrical needs! Far West Electric was established in 2007 and services the San Diego and surrounding areas of California. They do both commercial and residential electrical jobs including panel upgrades, installations and repairs. 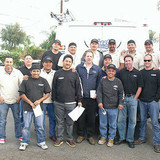 Combined, the team at Far West Electric has over 19 years of experience. With every job they’ll make sure that every home is left in the same, if not better, shape than it was before coming through. Homeowners enjoy their electrical services because of the professionalism they expel. Residential electrician that specializes in interior and exterior LED lighting, small and large remodel projects, electric vehicle outlets, ceiling and attic fans, troubleshooting and repairs. Since 1993, Newport Coast Electric has been offering a full range of high quality electrical services to Residential Customers and General Contractors in Orange County. We take pride in knowing that a majority of our business comes from repeat customers and referrals. From small tenant improvements to large scale custom home remodels, our dedicated, highly skilled, and well trained staff share a 23 year tradition of quality, integrity, and service. Our clients have the confidence in and rely on our experience and expertise to bring their projects to completion. .
For all your electrical needs. WEST COAST ELECTRIC has been servicing the Orange County area for over 20 years in both lighting design and installation for homes and businesses. We believe in exceeding our customers expectations by providing prompt service and attention to detail in every job that we do. We know the value of you, your family and home. We don't just talk the promise, we deliver it. Look no further than Laguna Electric! We are one of the fastest growing and best-reviewed electrical services companies in the area, and we will serve your electrical repair needs quickly and efficiently! Whether the job is commercial or residential, simple or complex, we will get it done right the first time and will guarantee our work 100%! We can handle any electrical issue from simple electrical troubleshooting and repair, to complete electrical system installations. We install High and Low voltage distribution, power, lighting and special systems in commercial, industrial, institutional and residential buildings. Baratelli Electric is a full service residential/commercial electrical contractor specializing in repair, new lighting,recessed lighting,low voltage lighting,ceiling fans, remodels,new construction,outdoor lighting,plugs,outlets,dimmers,switches,panel repair,panel replacement,rewiring,garage tools and equipment,security lighting,lighting design,electrical inspection,bathroom fans,chandeliers,cabinet lighting.kitchen lighting,water heater power,air conditioning power,bathroom lighting.garage lighting,electric fence,thermostats,oven power,and anything else electrical you can think of. Specializing in Electrical, audio visual and surveillance systems installation, SCP Electrical is rated highly for quality workmanship and excellent customer service. We are a licensed Electrical Contracting company that specializes in creative lighting design and install. residential and commercial construccion ,and improvement. What do licensed Oceanside electricians do? An electrical contractor plans, installs and repairs wiring in structures. He or she works closely with the home’s general contractor or remodeling contractor to determine the specific electrical needs for the project and to ensure that the wiring will meet Oceanside, CA building codes. An electrical contractor’s job also includes installing and repairing fixtures, switches and other visible components of electrical systems. With today’s technological needs and advances, many electricians in Oceanside, CA also are trained to install fiber optic and coaxial cables for electronic equipment. Certain electrical companies may design and install data systems and wire for security features such as alarms too. Some Oceanside electrical contractors specialize in specific areas, such as HVAC, low-voltage appliances and systems and more, so be sure to ask about their training to see if it fits your project needs. 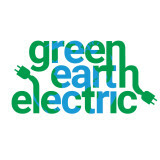 Find a certified Oceanside electrician on Houzz. Narrow your search in the Professionals section of the website to Oceanside, CA electrical contractors. Here are some related professionals and vendors to complement the work of electricians: Lighting Showrooms & Sales, General Contractors, Solar Energy Contractors, Heating & Cooling Sales & Repair.